Online high school courses that keep them focused, learning that prepares them for the future. Bridgeway Academy Online High School is a top choice for families looking for an online high school homeschooling program. Why? Because we’ve got the right formula. We combine the best in online, innovative learning, customized to your student’s goals and interests, with an all-inclusive, year-round supportive homeschool program that ensures your student finds success. We offer two online high school options for your student to earn those valued high school credits. Choose self-paced online classes for your independent learner, or live online classes complete with expert teacher instruction and support for those who prefer more interaction. Both options come with the support of an academic advisor, trustworthy accreditation, college or career planning, and a fully-recognized transcript. Our online classes keep your student engaged while their academic advisor ensures they’re on the right track with support, grading, and transcript services. Select Self-paced or Live Online Classes below to ensure the best fit for your child. Your child moves at their own pace while we help keep them on track. Recognized around the world, giving you peace of mind and securing your child’s future. Expert homeschool advisors who are with you every step of the way so you can homeschool with confidence. You won’t find anywhere else. We offer the most flexible programs out there. Activities and opportunities within the academy that make you feel more connected. Designed to help you have a successful year. Designed to ensure you have a successful year. What does a Total Care Homeschool Program include? As an all-inclusive program, Total Care includes everything you need for the school year, personalized to your student and customized to meet the needs of your family and schedule. This means you receive up to seven courses, all instructor guides, full support, accreditation, and membership in the Bridgeway Academy community. How long does it take to get started in a Total Care Program? Because there is no such thing as a one-size-fits-all Total Care package, it does take time to get your student’s perfect homeschool package organized and on its way. We ask that you allow up to two weeks to receive your materials or online classes. However, you can speed up that getting started process by responding quickly to your advisor’s requests, taking the assessments as soon as they are available and approving or adjusting curriculum recommendations in a timely fashion. How are the self-paced online courses structured? The structure of Bridgeway’s self-paced courses varies from video/interactive instruction, to independent study text-on-screen, to a mixture of both. If your student is looking for an asynchronous online program that includes a higher level of teacher support, access to tutors, additional instruction as needed, and more accountability, take a look at Bridgeway’s Elite Virtual Academy. Does my student need to be logged in for a certain amount of time every day? No. Bridgeway Academy is a homeschool academy; therefore, you are able to enjoy all of the freedoms of homeschooling coupled with the benefits and support of a private school. This means that although we do work to hold your student accountable, you have the freedom to set your own schedule and your student has the freedom to work at his or her own pace. What happens if a specific curriculum or course does not meet our needs? If you receive a course that does not fit, simply contact your advisor within 30 days to request a curriculum change. How often do the live online classes meet? Live classes meet just once per week, making it easy to create a schedule that works. Classes are recorded so if your student misses a session, you can easily access the content to catch up. Live classes take place on a full-year, semester, or trimester basis. Enrollment maximums vary by grade level but classes do fill up quickly so be sure to reserve your spot early. Trimester classes run for 10 weeks; semester classes run for 15 weeks; and full year classes run for 30 weeks. Will my students have assignments to complete between each live online class? Yes, your students will have activities and other assignments throughout the week as a follow up to what was covered in the previous week’s live online class or that prepare them for the upcoming class. Those students who are pursuing classes for credits will have up to five more rigorous assignments and should expect to spend time every day between classes. What are the equipment requirements for live online classes? Students will need a computer with mic/webcam and an Internet connection that supports streaming. 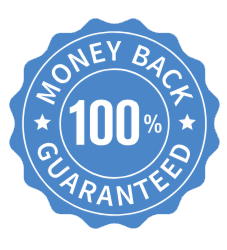 Our 30-day money-back guarantee is available on Bridgeway tuition fees only. Registration and shipping and handling fees are always non-refundable. Please be sure to review the technical requirements.